Now, Prabhas, who came to know about it from the media, has politely sent the DVDs of his movies to Nithya Menon in a neatly packed-box. The Chatrapathi star has reportedly written a note for her to give feedback to him after watching the films. Young rebel star Prabhas has rejected to share screen space with Nithya Menon and that's the reason why Nitya Menon said, “Who is Prabhas”? Now this is really getting interesting and so let's catchup more on this! Some time back Prabhas was trying to find out a good heroine for Rebel movie and the name of Nithya Menon came for discussion but Prabhas rejected her because she is too short and their combination looks odd and therefore he selected Deeksha Seth instead of Nithya Menon. Cut to Nithya Menon and you guys know what she said about Prabhas. Sources say that Nithya Meon was very angry on Prabhas for rejecting her and to take revenge on him, she uttered those comments the other day. Prabhas is currently busy shooting for 'Rebel' Telugu movie. In fact, Rebel movie fresh schedule of shooting commenced on June 27. Anushka and Deeksha Seth are being paired up in this movie, directed by Raghava Lawrence and produced by J Bhagwan and J Pulla Rao. Even Rebel movie business started off with a bang as Kadapa district rights for this movie were bagged by Kodur Madhu for 90 lakhs. 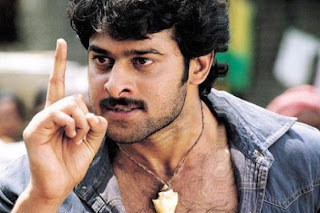 The shooting would be done by October and Prabhas Rebel release is scheduled for December.